Ultralights are small, light aircraft that allow you to fly like a bird. They reach as high as 5000m and are the perfect way to see Pokhara Valley and Annapurna. As you glide through the clouds, your views of mountains and lakes will be unblocked, stunning and incredibly peaceful. 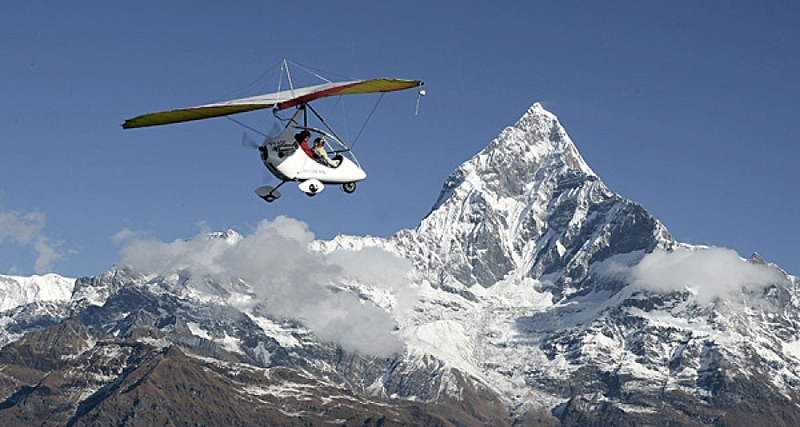 An ultralight is also very nimble and able to fly to places other aircraft cannot reach. The pilots are fully certified and fly from Pokhara Airport according to weather conditions. Covered area:Inside Annapurna Circuit and from Manaslu to Dhaulagiri Mountain Range.